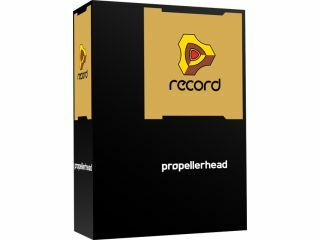 It seems that Propellerhead has had no trouble in hitting its self-imposed 9 September release deadline for Record, as Sound Technology Ltd, the official UK distributor for the company in the UK and ROI, has confirmed to MusicRadar that the UK delivery of the software has already arrived with them. Stock will be distributed out to retail stores well in time for the official launch, and pre-orders are being taken now by UK-based outlets. Sound Technology and Propellerhead have also announced the availability of a Student/Teacher Edition of Record Reason Duo. This is a specially priced version of the new Record plus Reason bundle for students/teachers and is priced at £270.25 inc VAT. You'll find more specific information at the Record You website.